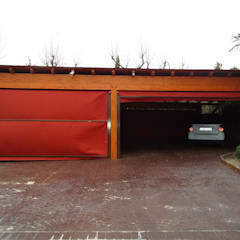 * Carports provide necessary protection to the vehicles from the elements of the climate. * They can easily be built in a small place. 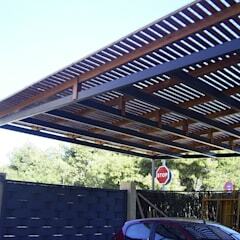 * Stylishly built carports can increase the beauty of the façade. * They don’t need much time to be built. 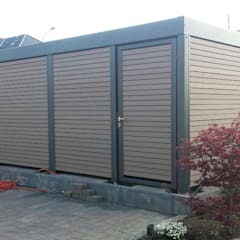 The prefabricated ones can be installed in one weekend. * Carports are cheaper than the traditional garages. 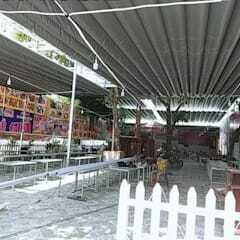 It would also be better for you to know some of the drawbacks of the carports. * Being open on all sides except the roof, carports are not exactly the most secure structure for your cars. * For the same reason, your cars might be partially exposed to rain, snow and sunlight. * They are not great for storing away the tools for maintaining a car or other essential household items. * Many people also find carports to be somewhat unattractive. 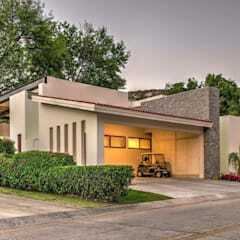 Its presence may decrease the resale value of your house. 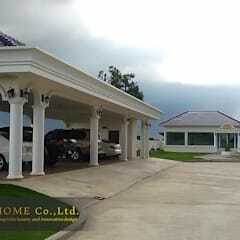 You must take due care while building a standalone carport in front of the house. 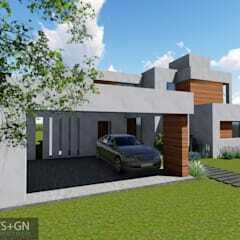 Any mistake in planning and design may result in destroying the charm of the exterior of the house. 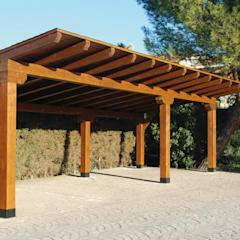 Boxed eave carports – Boxed eave carports are very popular across the country. Boxed eave roofing uses layers of metal sheets with horizontal overlapping. These roofs are available in number of different colours, so you may easily choose one to resemble the colour of the exterior walls of your house. The metal roofing is generally complemented with wooden structure. 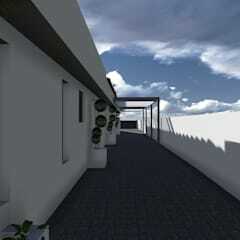 For a neat look, you may contrast the colour of the roofing or use soft white paint to cover the framework. 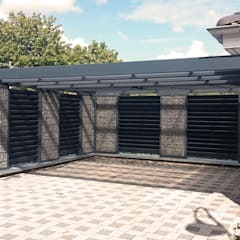 Vertical roof carports – Vertical roof carports have a close resemblance to the boxed eave carports. However, the metal sheets used in this case are placed vertically. Depending on the style of your house and your tastes, you may opt for wooden or metallic framework. 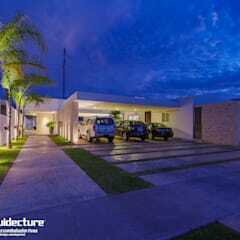 You will find wooden structures more in tune with classical, modern or rustic building designs. Metallic structures are better for the contemporary buildings. Vertical roofs are very durable and easy to maintain. 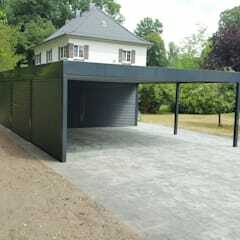 Carport with regular roofing – Compared to the aforementioned types of carports, carports with regular roofing is more economical. The simple pitched roofing is complemented with a metallic framework. They are not as durable as the vertical roof carports, but don’t perform too poorly in comparison to the boxed eave carports. 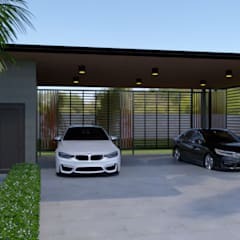 All three can be custom designed for your building premises, so you may easily order a larger carport for parking two or more of your vehicles. For carports attached to a house, you may easily opt for a lean to roofing. Build one that matches the features of your house. You may go for lean to roofing made of wood shingles, metal sheets or tiles. 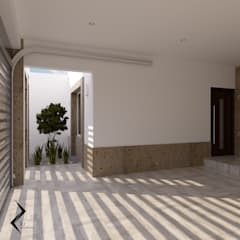 Another option is to build a drive through carport next to the porch. This would give a classical flair to your house. 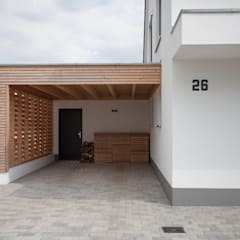 Flat roof carports made entirely out of wood is a great choice for house nestled in nature. What is an inexpensive way to install a carport? 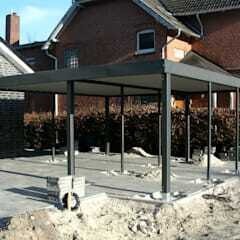 To build a carport attached to a house you will need permit from the local building authorities. 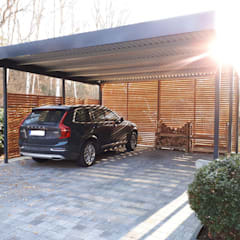 The same rule applies if your carport has a floor space of greater 12 square metres. 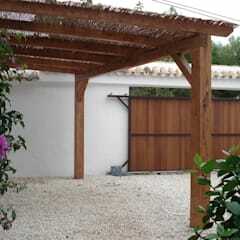 To build a carport from scratch you will have to spend around $1,800 CAD. But you may easily cut down the costs of installing a carport by opting for a pre-fabricated structure. Prefabricated carports complete with polycarbonate roofing are available in less than $600 CAD. If you frequently travel to distance parts of the country and tend to park your car under the open sky, you may invest in a portable carport. These are available in less than $50 CAD. Portable carports like these will keep your car protected from dust and natural elements. 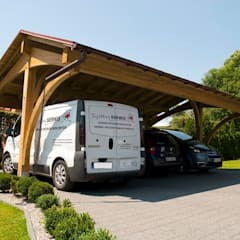 How is a carport different from a garage? 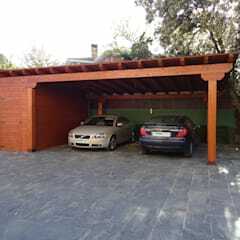 Sometimes the two words – carports and garages – are used interchangeably. But the two structures are not at all identical. Carports are basically sheds for cars and are built without side walls. They are quite versatile in design. 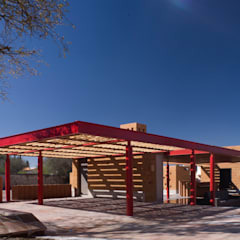 Carports can be positioned in front of the house, next to the house or in the backyard. 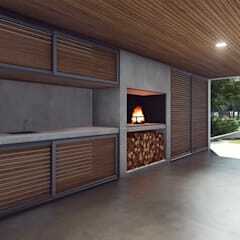 You may also build a drive through carport. They are reasonably durable, easy to construct and affordable. They also shield your cars from rain, snowfall or constant exposure to sunlight. Garages are covered on three sides by walls. So they offer greater protection to your cars from the natural elements. 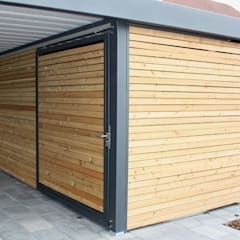 They are also better secured than open carports. Garages are permanent features of your home and can be built on the basement, front yard or backyard. They tend to add value to your house. 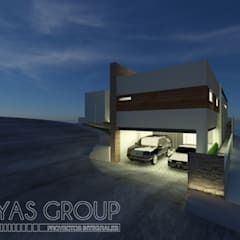 You may easily design a swank new garage complete with the latest decorative features such shiny metallic or acrylic flooring, LED garage lighting and so on. On homify, you will see plenty of images of garages with a sleek interior design. 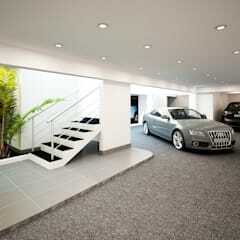 To design a garage with such grace and style, contact an experienced architect. You may discuss your needs with one of the architects right here on homify. 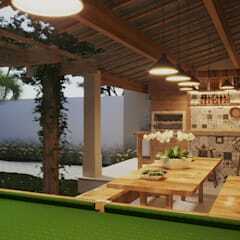 Garages are more durable. They have greater amount of storage space. They can double up as garden sheds. 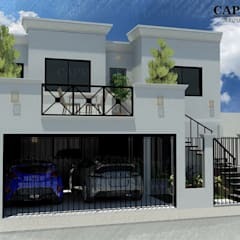 You may also build a secondary apartment on top of your garage. 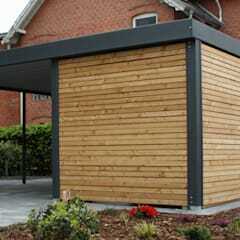 However, if you wish to you may buy prefabricated garages similar to prefab carports for your home.